“The Biggest Loser” – can we learn from him? I came across this article yesterday from Britain’s Daily Mail website. 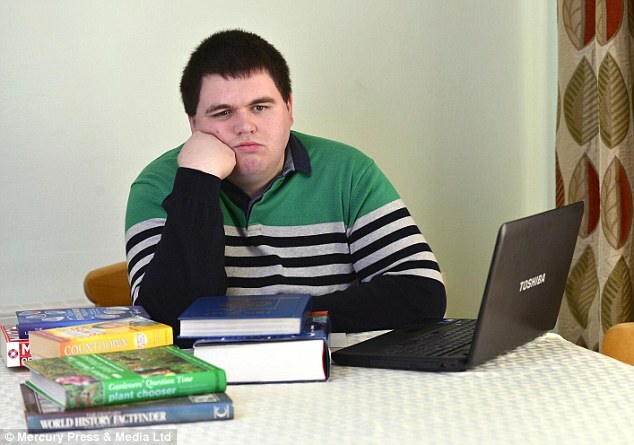 It’s about 26 year old James Robinson, who has been applying for – and appearing on – various game shows for the past twelve years, since he was 14. But despite his numerous appearances on the game shows Pointless, Breakaway, Mastermind and Countdown, he’s failed to win any of them. James’s main game show tip in the article seems to be a suggestion to learn and memorise countries, their flags and their capital cities by reading an atlas. Apart from that, is there anything we can learn from this determined young man, who keeps trying and trying and trying again – and again and again – despite apparently not having what it takes to be a game show champion? Can we perhaps learn a lesson about cutting your losses? Can we learn about quitting while you’re behind? Recognising your own weaknesses? Knowing when to hold ’em and when to fold ’em? Actually, probably not even that. This entry was posted in Auditioning, Brain Training, Strategy, Updates by Stephen. Bookmark the permalink.